Meet the Beatles for Real: But oh to touch him! But oh to touch him! 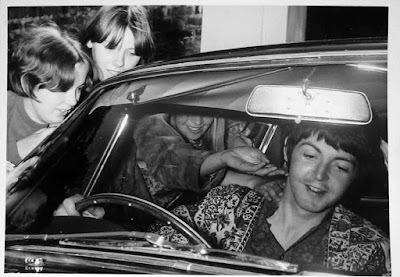 The girl with the short hair is Anne, British Paul fan and a regular outside his home. The other one's face is familiar but I can't remember her name. used to have a poster of photo # 2.